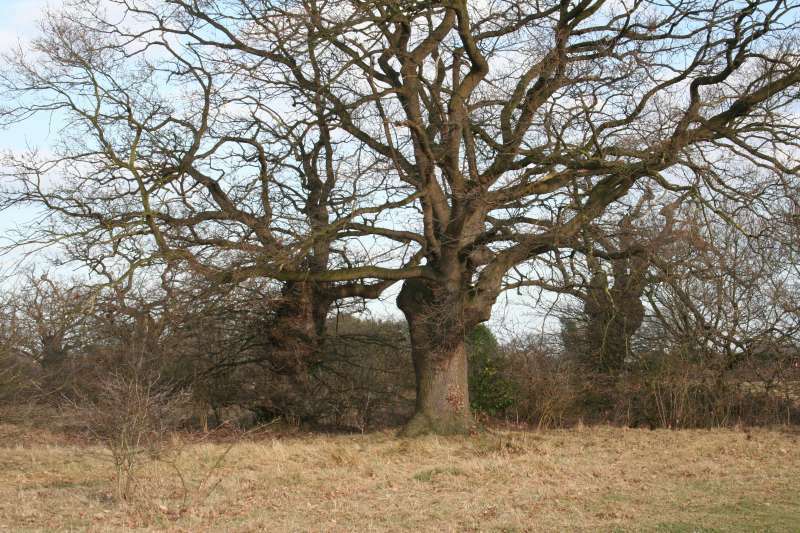 Aspall Close is an old park, which has been a nature reserve since 2001. 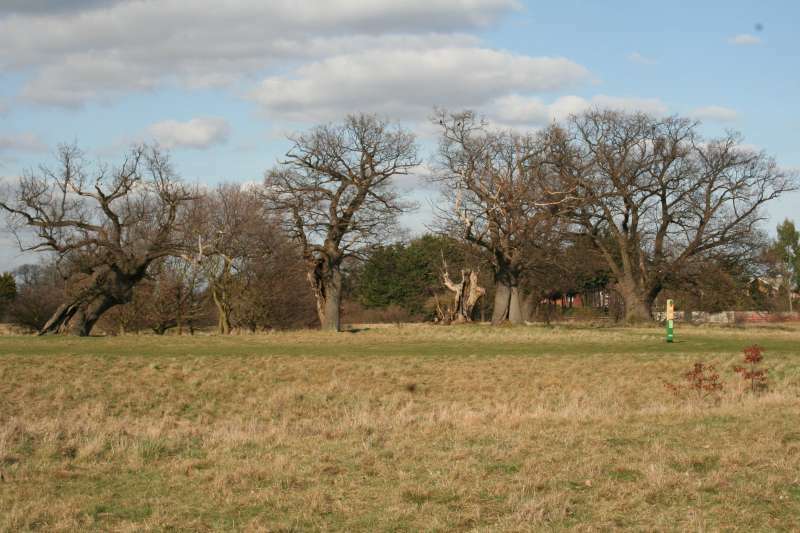 It is in Beck Row, Suffolk (TL 698 775) and is 19 Hectares in size. 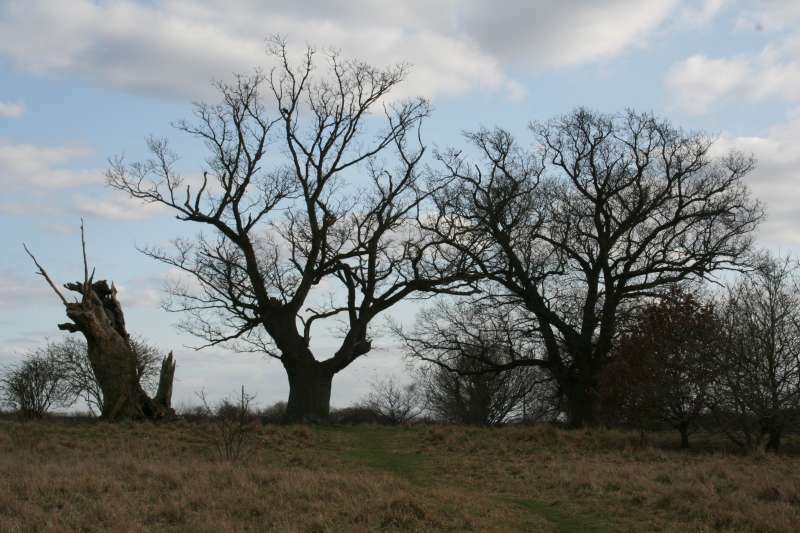 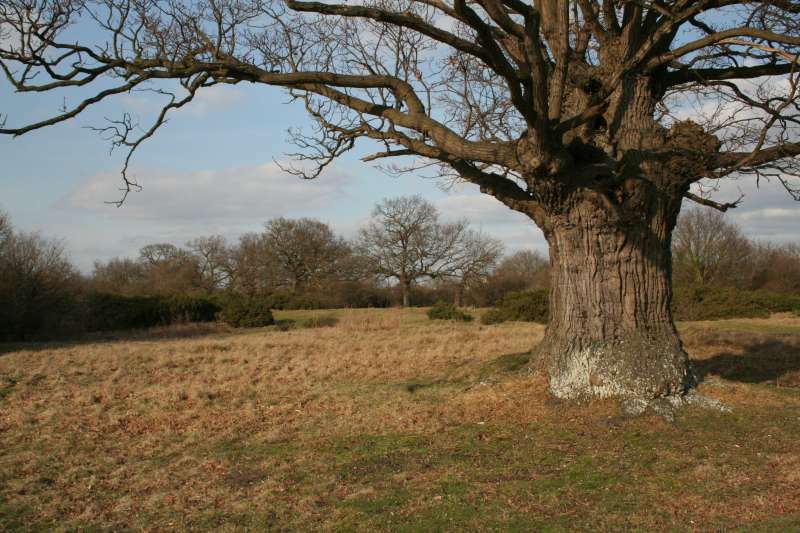 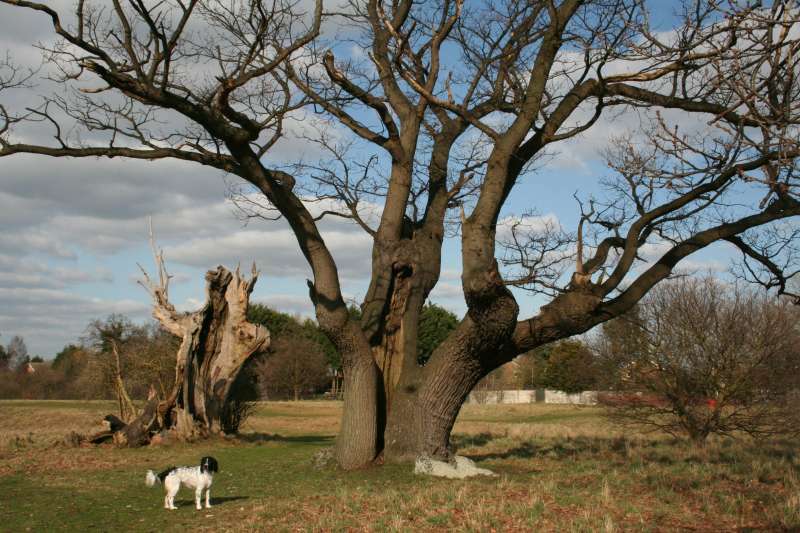 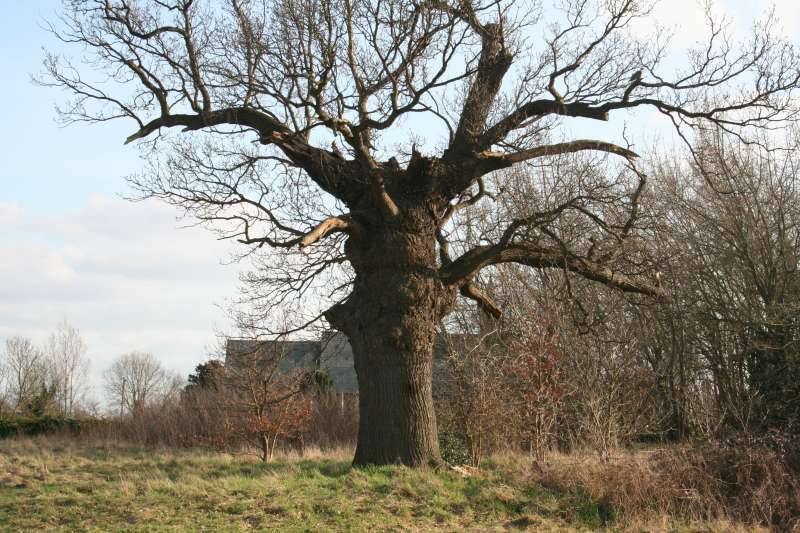 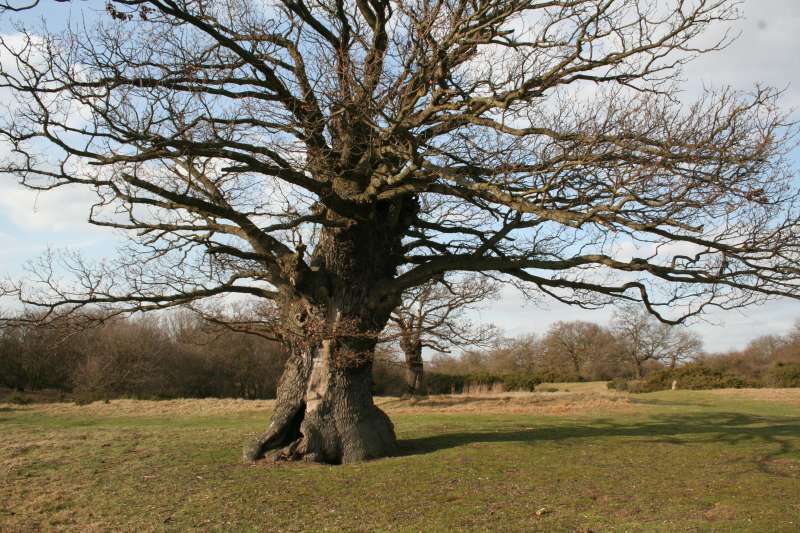 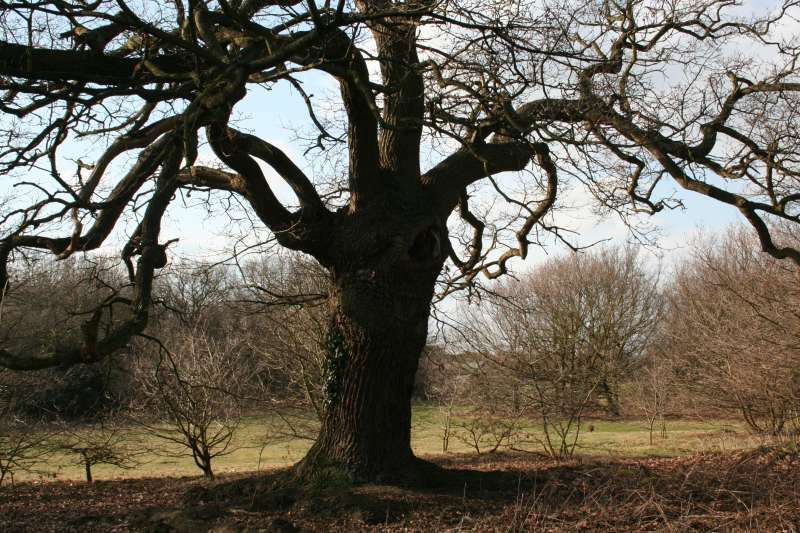 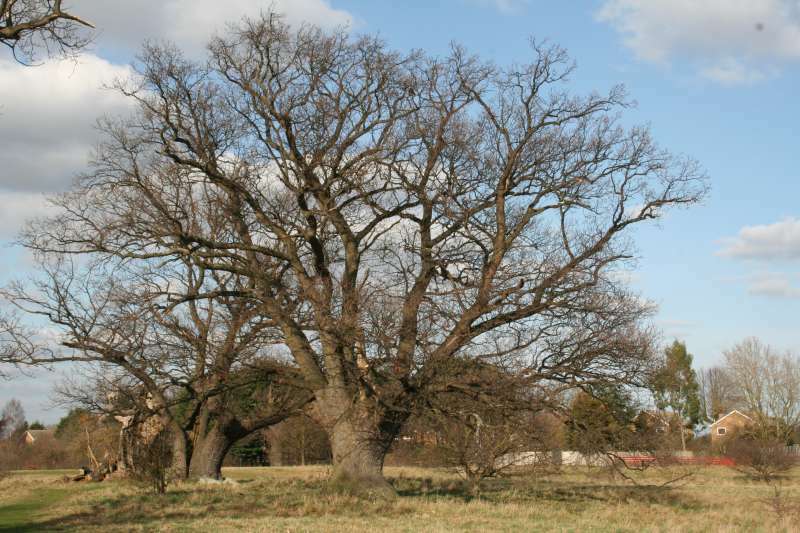 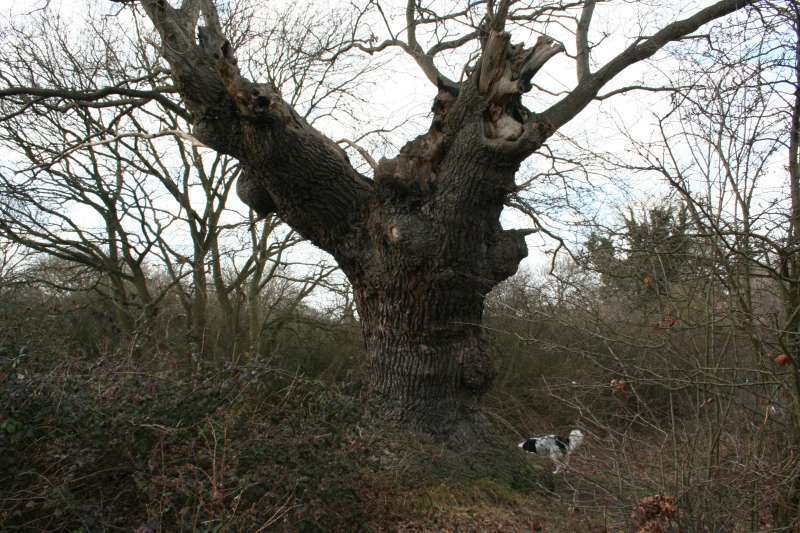 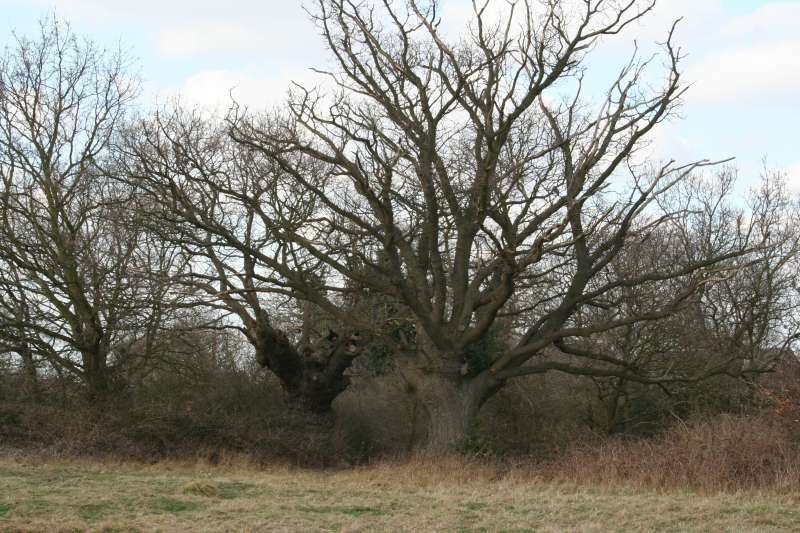 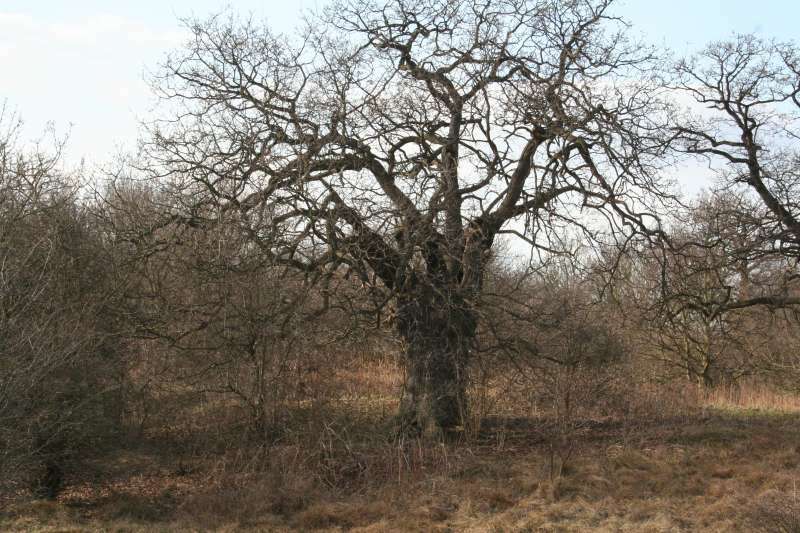 It is notable for its many ancient oak trees: there must be upwards of 50 oak trees in the 3 to 5 metre girth range and a lot more lesser oaks, as well as a number of other trees. 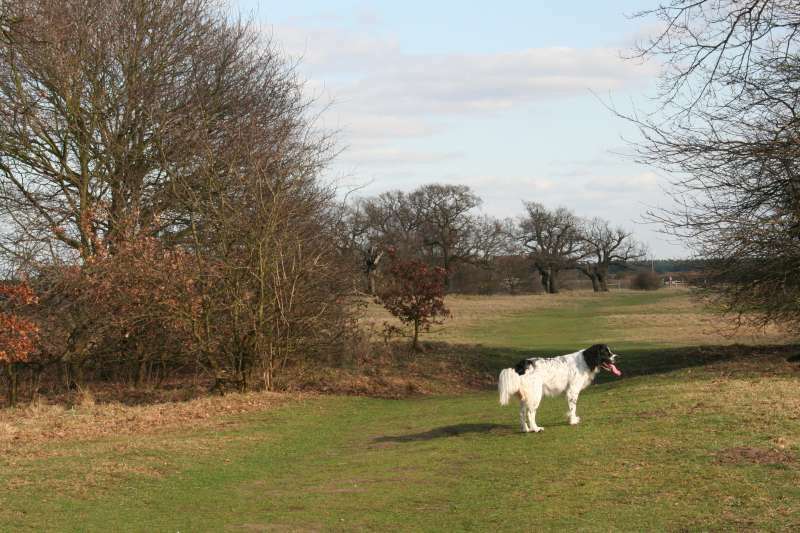 The close is a popular place for walking the dog: there are usually several dogs there. 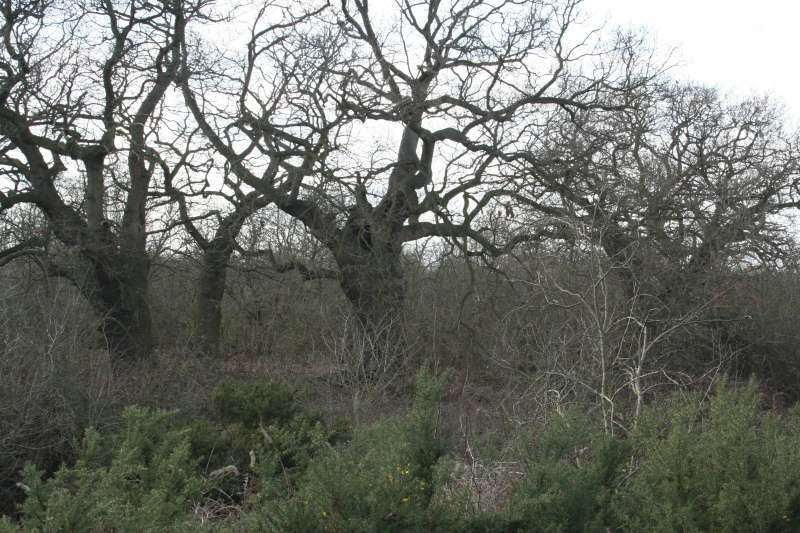 It is also quite open, as you can see from the photos, with few well-defined enclosed paths - which makes it not a good place to walk the cats, though I have taken both our cats (Misty and Xanna) there. 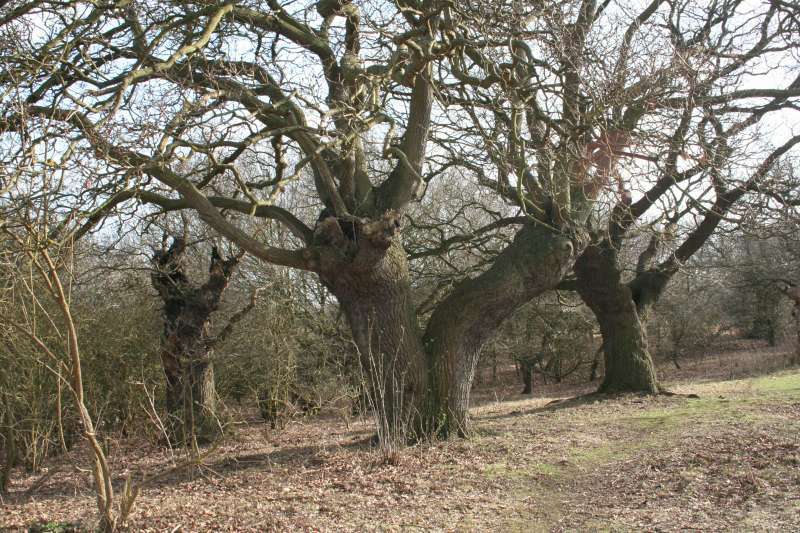 All of the ancient trees have been pollarded as the photos below show. 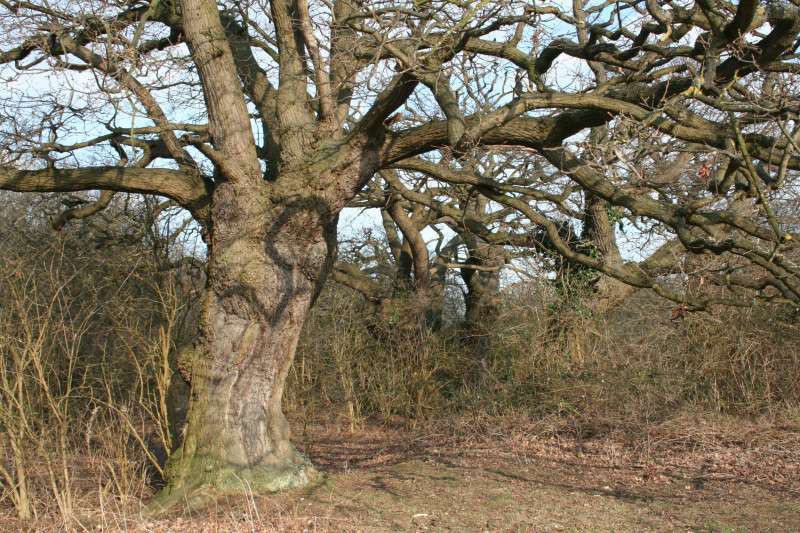 These 16 photos were taken on 21st March 2010 so they are not in leaf - perhaps the best time to display the true shapes of the trees!